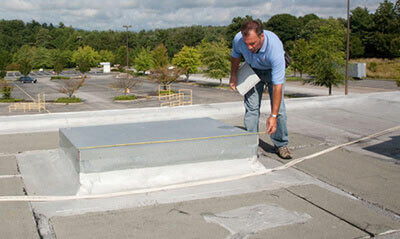 A-Plus Roofing is a flat roof repair and commercial roof repair contractor. A-Plus Roofing provides commercial roof inspection services throughout the Minneapolis area. A-Plus Roofing is a Duro-Last contractor with experience in installation of all Duro-Last roof products. A-Plus Roofing - Your Minnesota Flat Roof Experts! We specialize in flat roof construction and repair services! Are you having issues with your flat roof in the Twin Cities area? You've come to the right place. We are the flat-roof experts for the Minneapolis/St Paul areas. 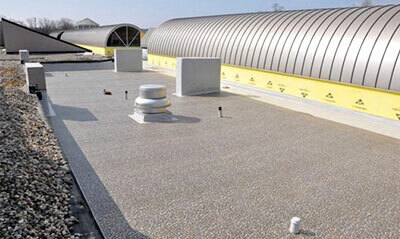 A-Plus Roofing excels in the installation of commercial flat roofs, as well as heat welded and rubber roofing systems. Our skilled roofing employees install only the best products for your service or repair needs. Besides our flat-roof services, we also offer roof repair services. With A-Plus Roofing, you will receive an honest assessment and estimate, as well as timely roof repairs. The weather in the upper Midwest can be harsh on commercial roofs due to the extreme weather conditions from the freezing cold in the winter to the humid, hot summer days. A-Plus Roofing offers various solutions with exceptional quality products that can stand up to these ever-changing conditions. Since 1990, we have prided ourselves on our integrity and our customer service that has helped our company grow over the years. Whether you’re in Minneapolis, St Paul, or another nearby city, you won’t find more experienced, professional flat-roof contractors. 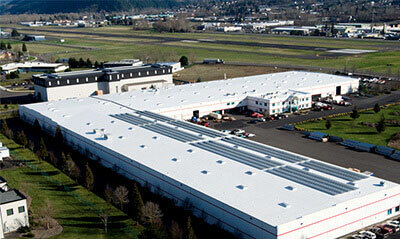 Commercial flat roofs, heat-welded roofs and rubber roofing systems are some of our specialties. Contact us and we will provide you with our expert solutions.